Anatomy and Physiology deals with structures and functions of a lifeform respectively. They are both approaches to studying about a living organism and hence similar and closely associated. However, they are distinct perspectives as anatomy deals with the structure of living things i.e. the parts and components that make up the biological systems of living things whereas physiology is concerned with the functions of the parts and components of living things starting from the basic cell to a complex biological organ. In simple terms, anatomy is the study of parts of the body of a living organism while physiology is the study of how these parts work individually and as a whole. These two topics are studied simultaneously to get a comprehensive idea of the living organism as a biological system. 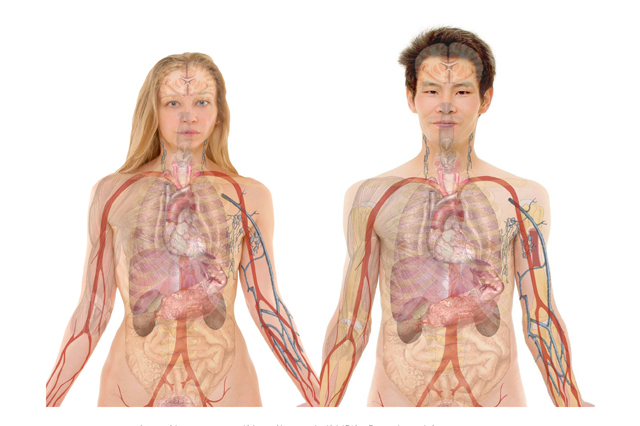 Anatomy is the area of natural science that focuses on structural organization of life forms. It covers forms, parts and structure of living organisms. The external appearance and features and internal parts are both included in anatomy. Anatomy is derived from the Greek words ana- and tomia which means ‘up’ and ‘cutting’ respectively. Therefore, the literal meaning of the root word of anatomy is ‘cutting up’ or dissection. Physiology is the study of principal organ systems and how the various parts of the body work together. It includes understanding cells, organs, muscles and the chemical processes and functions associated with them. The word is derived from the Greek word phusiologia meaning ‘natural philosophy’. Anatomy and Physiology Diploma is an essential course to all professionals working in the field of healthcare and this includes not just doctors and nurses but also therapists, nutritionists, personal trainers and pharmacist. Physiology and Anatomy Diploma is a supplementary course that will aid your education and preparation for examinations.